Besides trying to say the title of the article three times fast, Canadian customers will find that the new Samsung Cleo not only has a lot to offer, but looks good to boot! Sure to go well in a handbag, the device is offered in pink, blue, and champagne colors, and offers a QWERTY keyboard, 1.3-megapixel camera, and MP3 functionality. 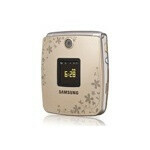 It has formally launched from Samsung in the Canadian market, however it is not available with a carrier at the moment. Will it come to the US at some point? We certainly hope so. If not, Sprint still has its Lotus. yeah, it is a lotus with a lower grade camera lol. right down to the flower imprint lol. lol, lol, lol, lol...are you kidding, what is funny about this? OMG YOURE RIGHT, THEY COPIED THEIR OWN DEVICE! what the hell are you talking about? never come back here. Don't u mean Samsung copied an LG device? Possibly Samsung Strut... VZW offers a carry pouch for the PCD Blitz (TXT8010) which states it also fits the Samsung Strut. Noone, that I know of at least, has leaked or announched anything about the samsung strut. Given that this Cleo seems to have the same short-stature, wide body design, this could possibly come to VZW as the Strut. That would make sense, considering Sprint has the Lotus, VZW could get this as a direct competitor. The only Samsung qwerty non-pda phone VZW carries is the aging, discontinued twice already Alias, so this would be a likely replacement. If PhoneArena would report if this phone is CDMA, that would really make this alot more plausible. Any thoughts? Oh yeah, forgot about the glyde. On purpose. I pretty much refuse to sell it to any of my customers. 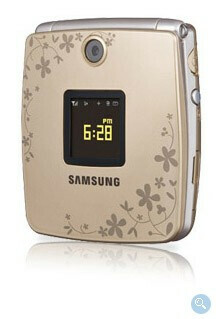 So i guess the alias isn't "the ONLY samsung qwerty non-pda phone VZW carries"; just the only one worth mentioning. Well, its semi-confirmed. Checked out an article on phonescoop, which sited samsunghttp://pages.samsung.com/ca/kissesfromcleo/English/ , then the FCChttps://fjallfoss.fcc.gov/oetcf/eas/reports/GenericSearchResult.cfm?RequestTimeout=30 The cleo is also known as the U440, which means it is coming to Verizon. If that isn't the so-called Strut I don't know what is. wtf is that? it looks shhhh. wow. thats the point.. it was designed to look like what you call a "makeup thingy-ma-bobbery"